Introducing Sgt. Chris Boyd – a leader of the MPD K9 team. A nine year-old boy celebrates his birthday in a very special way. Each year he asks his friends to set aside money that they would have spent to buy him birthday gifts. In turn, he donates this money to one or more charities. This year, Capital K9s received a meaningful donation from this very generous, civic-minded young man! In addition to helping support a very worthwhile endeavor, he is showing his friends that he truly knows the meaning of giving. Thanks Nick! Here’s an opportunity to hear a presentation by MPD K9 Officer Carren Corcoran and Linda Zapata about the use of cadaver dogs in missing person cases and the cold case homicide of Jeanette Zapata, Linda’s mother. All proceeds will go to Team Madison Police. Sgt. Chris Boyd: “K9 Gildon, a 10 year old german shepherd, has retired from the Madison Police Department. Officer Jeff Felt and K9 Gildon began working as a team to make Madison a safer place in the spring of 2006. On December 1st of this year K9 Gildon officially retired and Officer Felt began training to fulfill his new promoted position as a patrol sergeant. Congratulations to these winners and thank you to everyone for making this year’s event a splashing success! Time is running out! Dog Paddle is only eight (8) days away! 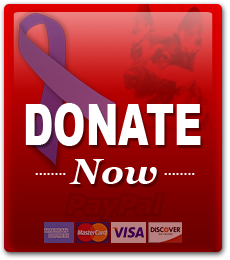 Register before September 7, 2013 and save $3 for each dog. Raffle tickets can also be purchased from any board member. To contact a board member, email info@capitalk9s.org. A local man was arrested on suspicion of multiple charges including drug possession after a traffic stop for a missing front plate, police said. The Madison Police Department’s West District Community Police Team was responding to citizen complaints about trespassing and possible drug dealing at an apartment complex on the 6700 block of Schroeder Road Tuesday night when an armed man was taken into custody, according to the report. Deangelo L. Gray, 32, was charged with carrying a concealed weapon, possession with intent to deliver marijuana, possession of drugs within 1,000 feet of a park, felony bail jumping and possession of a firearm as a felon, Madison police said. Records for Gray include addresses in both Madison and Cottage Grove. The report said officers spotted a white Mercedes that did not have a front license plate leaving the area just before 8 p.m., and officers stopped the car. Gray denied having drugs or other contraband. However, police said K-9 Martie indicated drugs were present. Police said officers found marijuana, a loaded handgun, large capacity magazine filled with ammunition, several cell phones, and hundreds of dollars in cash. Court records indicate the suspect was recently arrested in Milwaukee County for allegedly dealing cocaine. Madison Police are crediting K9 Josh with finding a missing 83-year-old man. The man’s wife said she awoke early Saturday morning, around 3:15 a.m, and realized that her husband was gone. Her husband has dementia, and she said he can go off on very long walks. She called police, and officers brought in Josh. Josh found the man not far from the family’s Northport Dr. home. Officers say he was dirty, and it looked like he had been out wandering for some time. The MPD recently hosted a K9 tracking training for other law enforcement agencies, and part of the curriculum was how to search for missing people. The Madison Police Department hosted a K9 training for neighboring agencies, where Sergeant Chris Boyd and Officer Carren Corcoran shared new strategies to train dogs for tracking.